T-Mobile Samsung Galaxy S4 also received the VRUEMK2 OTA update earlier released to Verizon and AT&T SGS4 variants. Here is how to root T-Mobile Galaxy S4 on VRUEMK2 Android 4.3 Jelly Bean. 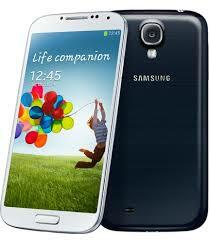 Follow this step by step guide to root T-Mobile Galaxy S4 VRUEMK2 Android 4.3 Jelly Bean. Note: This method will only work for Samsung Galaxy S4 M919; for Verizon and AT&T Galaxy S4 rooting on VRUEMK2 Android 4.3, check this tutorial using SafeRoot. Relevant read: Tether WiFi on Samsung Galaxy S4, Note 3 & Other Devices without Root! Required files: download Odin v3.07 from here; also download Chainfire’s CF-Auto-root package from this link. Switch your Samsung Galaxy S4 M919 off and boot it in Download mode: press and hold Volume Down, Power and Home buttons together. Launch Odin on PC and connect your SGS4 with computer; when connected successfully, you will get a message in Odin saying Added!!. (In case you don’t get it, try another USB port. If that doesn’t help either, then re-install USB drivers). In your Odin, click on PDA and select the CF-Auto-Root-jfltetmo-jfltetmo-sghm919.tar.md5 file. When the root is successfully done, on Odin ID:COM will turn green and Odin will show you a PASS message. Samsung Galaxy S4 SGH-M919 will restart automatically and you can then disconnect your device from computer.